Replies to questions from Senior Colonel Executive Participants, National Defense College of the Philippines, through NDCP President BGen. (Ret) Fermin de Leon, Jr.
What is your greatest motivation in deeply pursuing your cause? 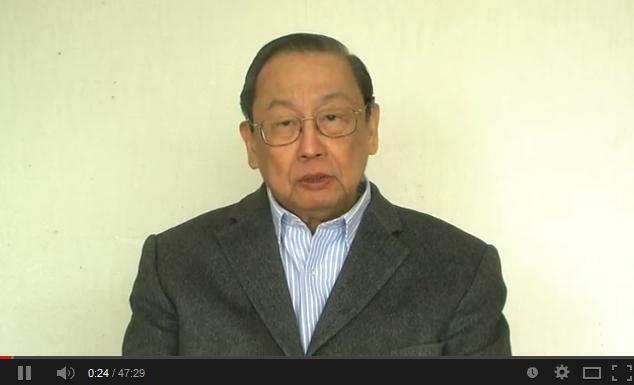 Jose Maria Sison (JMS): To serve the Filipino people, especially the toiling masses of workers and peasants, along the line of national liberation and democracy against foreign monopoly capitalism, domestic feudalism and bureaucrat capitalism, and thus to pave the way for a fundamentally new and better future.